Click here to get eBook. 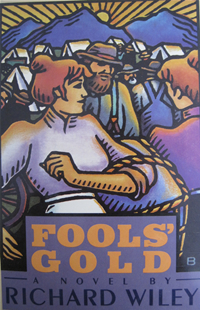 Fools' Gold brings together a variegated cast of characters in one of the last outposts of the American frontier, Alaska, during the gold rush of the 1890s. 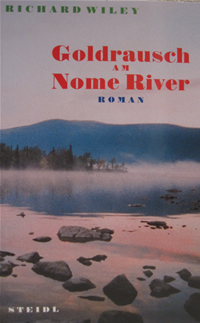 They include Finn Wallace, an Irishman in his forties, nineteen years gone from his homeland, with ambitions to build a town… Ellen, a young Irishwoman, big-boned and quick to judge, the proprietor of the only bathhouse in Nome… Henriette, an American girl paid court by two surprising (and surprised) suitors… Kaneda, a Japanese prospector, who knows everything about gold but nothing about English, and who recites, for anyone who will listen all he knows of the history of Japan… Fujino, Kaneda's assistant and translator… John Hummel, a scurvy man who discovers gold on the beach and is murderously angry when his claim is denied… the Revered Raymond, a preacher so inspired by story that his sermons escape him, creating characters unknown to the Bible (such as Andrew the Suicidal)… and Phil, an Eskimo who sees all the others as outsiders, and yet who recognizes in Kaneda much that is familiar, even if he cannot understand a single word the prospector says. 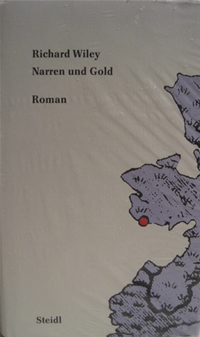 Over the course of a few wintry months, they all make vital discoveries, some precious beyond the riches they came to find.